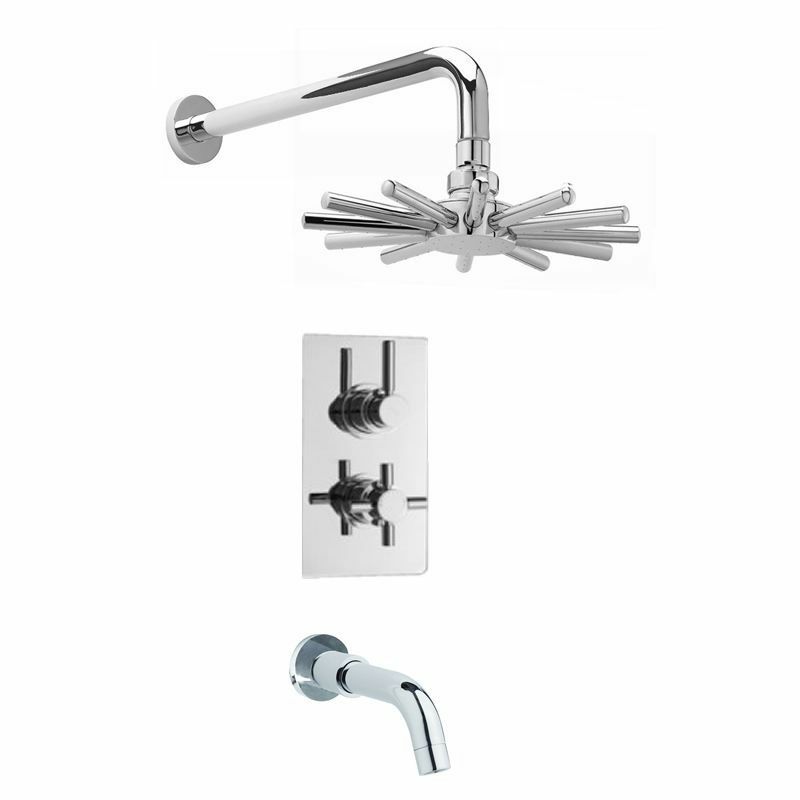 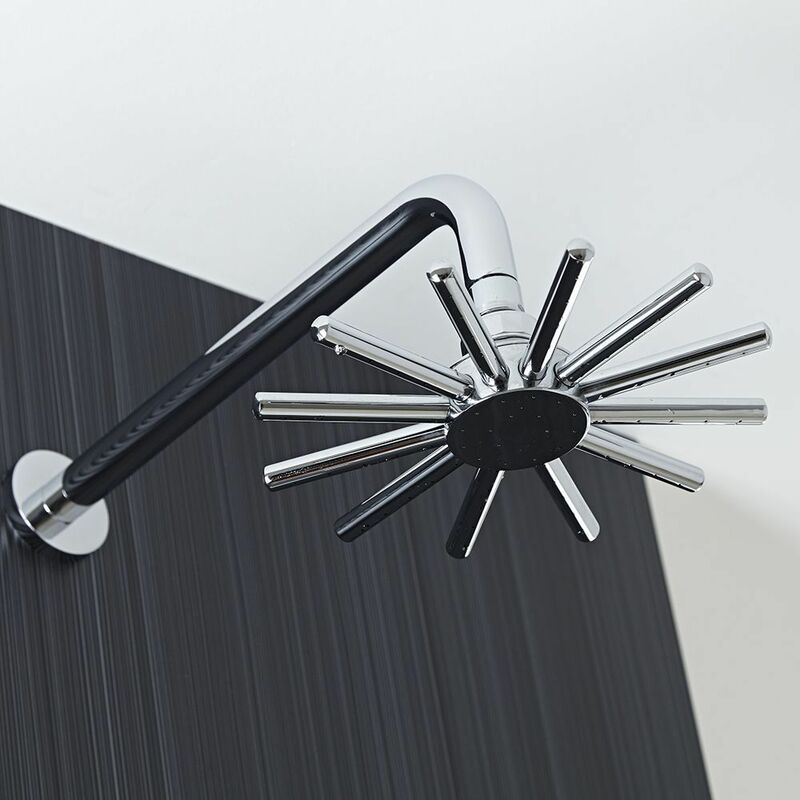 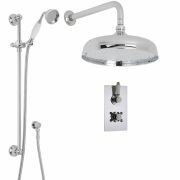 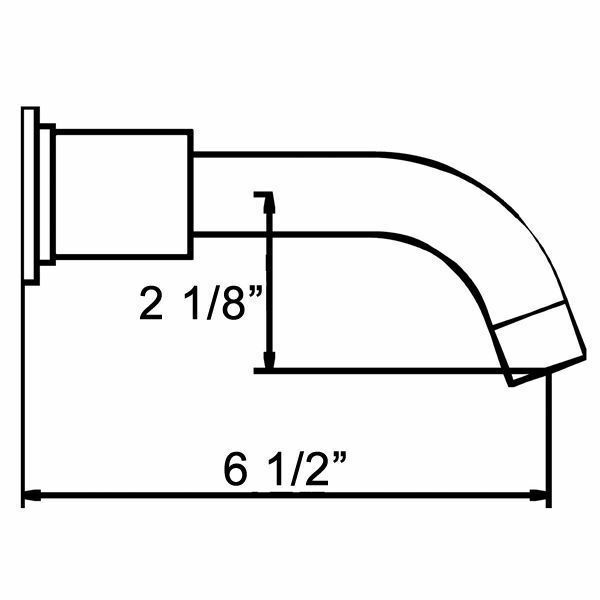 This modern tub shower faucet combines our most popular items in one easy to install package. 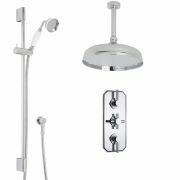 All the items in this package are manufactured from solid brass and have an attractive, versatile design to suite a range of bathroom styles. 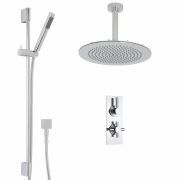 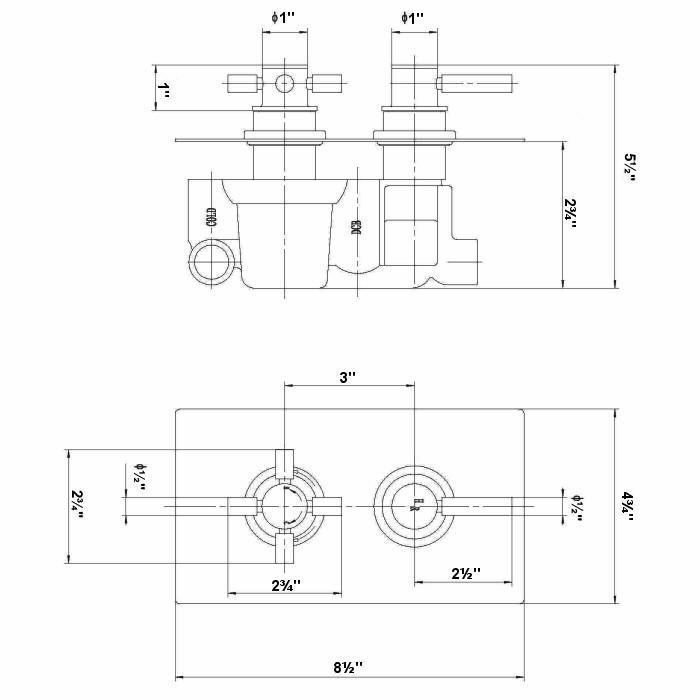 The pack includes all the valves and trims that are necessary to install this tub shower system, no additional hardware is required. 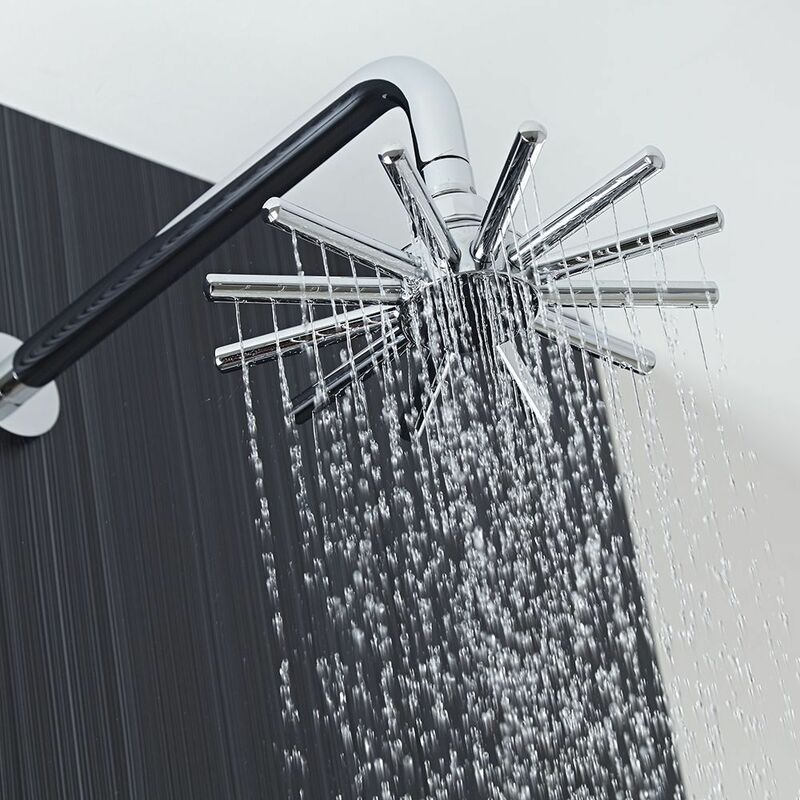 Please note: only one function may be used at a time with this configuration.